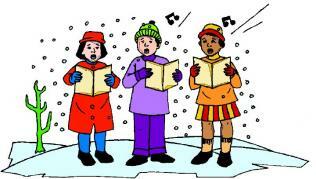 A POST OF CHRISTMAS SONGS AND CAROLS FOR MY STUDENTS OF ZOGRAFYON HIGH SCHOOL. I thought it would be easier for my students to chose from the ones I have chosen instead of getting lost on internet by searching for something good losing precious time as in my case. Please feel free to share my blog post with your students if you like my collection and if you know any other Xmas songs or carols worth using in ELT classes I will be very happy if you share them with me!